Waitrose has finally issued a press release about its probable West Hampstead opening on the Pizza Express site. Assuming it clears the planning hurdles, the John Lewis Partnership, which owns Waitrose, expects to create up to 50 new jobs, with all employees becoming partners. 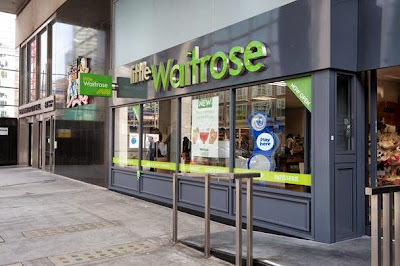 When the the unit became available, we didn’t want to miss the opportunity to realise a long-standing ambition to open a shop in West Hampstead and add the Waitrose brand to an already impressive collection of independent shops and established high street chains. We would welcome the chance to open here and play our part in ensuring it remains a vibrant village which continues to attract visitors. Just that pesky planning permission to get now – and already a few locals are starting to grumble about the noise of deliveries. Hard to see it being enough to stop the deal being done. Waitrose says in its release that it plans to open early next year.